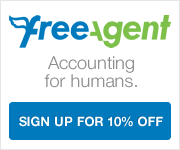 10% off FreeAgent business accounting (£30 off a year) with a single click! 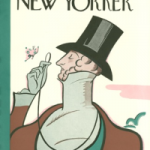 A wonderful portrait by the New Yorker of Britain’s biggest selling quality newspaper, the Daily Mail. I’m sick of Melvyn Bragg, Hugh Grant, Joan Bakewell, and Anne Robinson. I’m sick of Vince Cable, the entire Labour Shadow Cabinet, and all the politicians. I’m sick of squatters and travellers, pop music, the BBC, surveillance cameras, my rotten pension, terrorists, Anglican bishops, and having no money, and I just want to die. My country, which I loved is ruined. It will never be happy again. It is all self, self, self, moan, moan, moan. I cannot wait to get out and rest in peace. The government of the United Kingdom’s annual budget is set during a moment of pure political pantomime. While drinking an alcoholic drink, the Chancellor of the Exchequer (akin to the U.S. Secretary of the Treasury) stands in the chamber of the House of Commons and reads out a list of statistics and figures meant to illustrate his command over the nation’s finances. Under the previous Labour government, Chancellor Gordon Brown’s set speech would be a marathon list of additional public spending. Yet times have changed. The fiscal restraint promised at the beginning of Britain’s Conservative and Liberal Democrat coalition government has morphed into a budget that would please grassroots Tea Party activists—with huge cuts to welfare to pay for a tax cut for the richest 1 percent of UK earners. The wildest fantasies of the Tea Party movement are being implemented across the Atlantic, in a chilling warning for U.S. progressives. George Osborne, Britain’s current Chancellor of the Exchequer, leaked almost the entirety of his speech in advance. Even so, the details have been truly shocking. Pensioners, children, and welfare claimants will all be hit to pay for tax breaks for the richest 1 percent. There will be a cut in the top tax rate (on incomes over £150,000, or about $235,000) from 50 percent to 45 percent and big cuts in corporate taxes. Middle-class pensioners will lose nearly $500 a year, and the 18 million people in the UK on some form of welfare (usually lower-income families) will lose $800 each. On average, workers earning $30,000 will lose $300 in welfare, with single parents working up to sixteen hours a week losing a staggering $6,300. Yet Britain’s millionaire bankers will pocket nearly $70,000 a year each in tax breaks, and the corporate sector will see its tax rate fall from 28 percent to 22 percent by the end of this parliament—18 percent lower than the United States, 16 percent lower than Japan, 12 percent below France, and 8 percent below Germany. This is the total tax rate—there are no state corporate taxes in the UK. Before the budget, the coalition’s mantra that “we’re all in this together” was found to be wanting. The previous budgets redistributed income away from the poorest 10 percent of the population. They lost out more than any other group—except the very richest. The graph below was produced before the top tax rate was cut from 50 to 45 percent. With the reduction, it’s likely that the poorest are paying the most for the economic crisis. The welfare cuts are near fatal to the post-1945 consensus on health care, housing, and benefits for children. In the area I represent, Lewisham in South-East London (a borough with around the population of Stockton, CA), over 9,600 people who rely on rent assistance may have to move homes. People regularly call on me in tears wondering where they will live as their welfare payments are slashed. Public workers who have seen their pay frozen for three years may in certain regions such as the North-East see the freeze extended for another decade until their pay falls below the private sector average. Anger is mounting. Young people tell me they expect last year’s rioting to happen again as youth unemployment stays above 20 percent. The worry for progressives is that while the majority of Britons are being clobbered to pay for a tax cut for the rich, 58 percent of respondents to a poll before the budget said that the spending cuts were necessary. A significant 36 percent of those polled blamed the previous Labour government for the spending squeeze, not the current government doing the cutting. In these circumstances, asking corporations and the richest 1 percent to help contribute to Britain’s huge budget deficit is not a big ask. That public polling shows a wariness to do so should send alarm bells ringing in the United States. Democrats need to ask how they can make the case for public spending during the worse crisis since the Great Depression. That case has been lost by progressives in the UK. America has a Tea Party out of power, the British Tea Party is already dismantling the state. This was originally published by Dissent Magazine on 23 March. Why are councils spinning against freedom of information? During the slow news days of Christmas, spinners at the Local Government Association sent out a press release: “Councils quizzed on Santa, Napoleon and aliens in 2011′s most wacky FOIs.” With opportune timing, the story appeared in most national newspapers. Perhaps just a bit of fun, it gave the impression that local authorities are being bombarded by frivolous or vexatious requests, with the Freedom of Information Act costing local authorities £31.7m a year. No matter that, according to the same evidence base used by the LGA, of 693,650 requests made to local government 98.4% were deemed straightforward by officers and not subject to internal review to weed out vexatious requests. It’s striking that the LGA decided not to highlight how freedom of information has held town halls to account by exposing waste and maladministration. The Barnet bloggers showed how the council used an unlicensed security firm to covertly film residents. Perry Austin-Clarke, editor of the Bradford Telegraph & Argus, used FOI to discover the council was spending £500,000 on mobile phones bills. It subsequently fell to £100,000. A series of FOI requests by the Daily Telegraph exposed how local authorities spent £2m on hotel bills over just 3 years – including stays at the Four Seasons in New York, the Pan Pacific in Singapore, and the Athens Hilton. The beauty of FOI is that it gives the public the same powers of inquiry as elected councillors. Scrutiny can now be as powerful outside the town hall as inside. In Birmingham city council’s response to the committee, it argues that FOI costs the local authority £800,000. The figure is based on £25 an hour to locate, retrieve and review the information then (for no apparent reason) doubled the figure for staff costs. Until recently Birmingham was spending £10,000,000 a year on pushing its agenda through in-house publicity and communications. The council argues that to reduce the cost of FOI, requests should be charged at £25 to deter multiple requests. Yet it’s multiple requests that allow groups such as the Taxpayers’ Alliance to make comparisons between local authorities – and find that councils such as Birmingham have the highest spending on publicity. Cost is a poor argument. While the LGA was happy to isolate the high costs of FOI, it pales into insignificance against the £427m a year claimed in mileage allowances for councillors and staff in 2009-10. The scrutiny that FOI brings to local government drives efficiencies. It is certainly true that the number of FOI requests to local authorities has risen as people have become aware of their rights. Yet, research from University College London suggests that the cost of processing individual FOIs has also fallen by over half from £410 per request in 2005 to just £160 in 2010. FOI isn’t just the preserve of journalists or political parties: 52% of requests are from individual citizens, with 5% from businesses, journalists and political parties. A concerted effort is underway to undermine the scope of FOI. It’s possible that requests could be charged in the future, severely hindering comparative investigative journalism. Another proposal is to lower the cost limit of £600 per request for central government departments and £450 for all other public authorities. This will only affect a tiny minority of FOI requests – but often the more pertinent. A huge number of organisations (including Index on Censorship) are lining up to defend freedom of information. We’re hoping the justice select committee makes clear that the act is here to stay. But some policy makers have a desire to turn back the clock. Jonathan Powell, Tony Blair’s chief of staff, regrets the introduction of freedom of information. “In retrospect, this was a mistake, not because secrecy is a virtue, but because policy making, like producing sausages, is not something that should be carried out in public,” he has said. It’s a politics-first approach; hold debates behind closed doors so political groups can present a united front. In local government, this ignores the possibilities that opening up decision making to the public offers. Local government must do more with less. In these circumstances opening up the decision-making process can only be a good thing. It’s a pity that the LGA is framing the debate in such a misleading way. 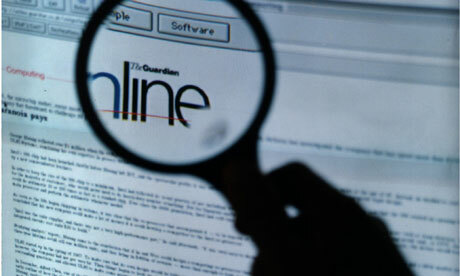 This article was originally published in the Guardian on 16 March. Lewisham 2014: what does Labour dominance mean for local politics? Why is free speech not good enough for Northern Ireland?